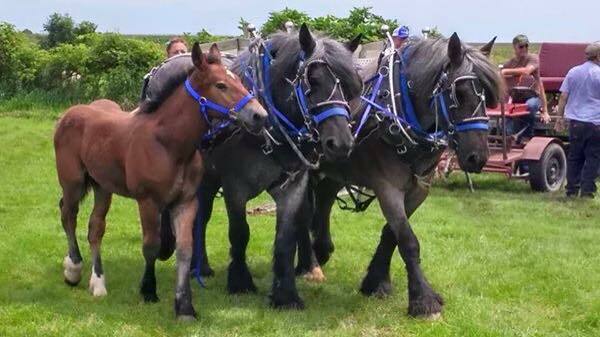 In the Spirit of Team WORK! 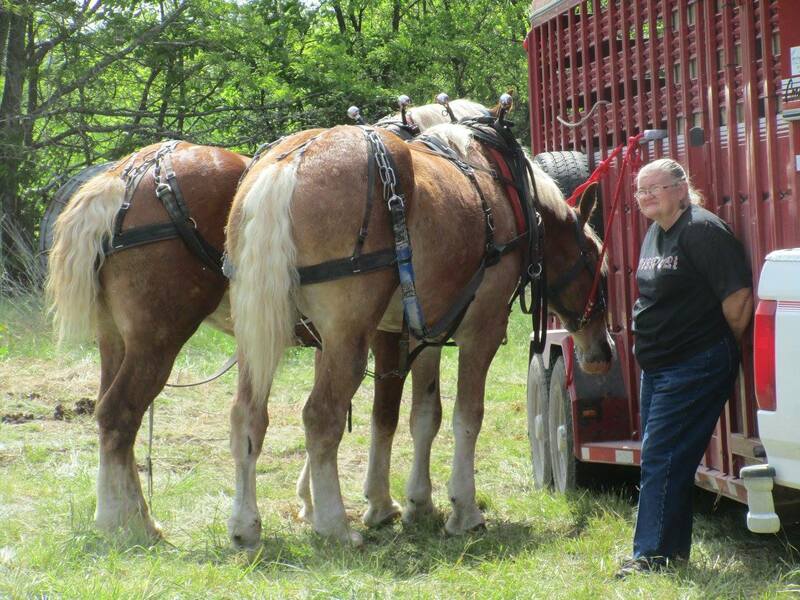 Bobby is a former president and long time director of the Association. 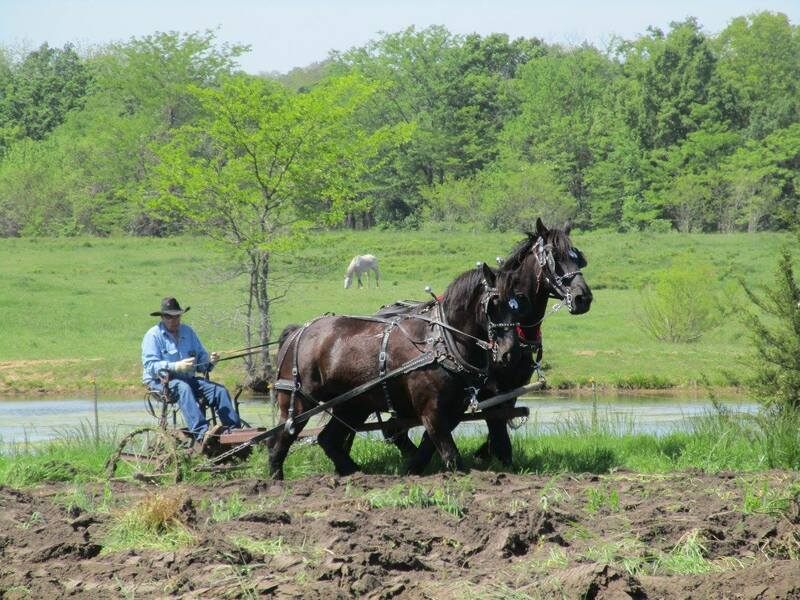 He has been honored with the Linch Pin award and Member of the Year also. 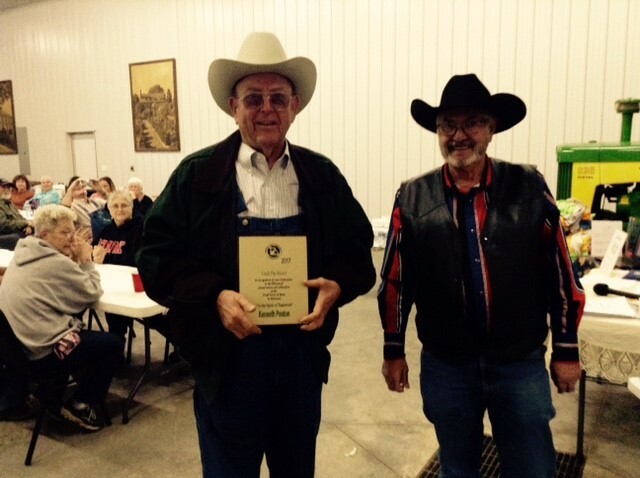 Genny has been awarded the Member of the Year award. 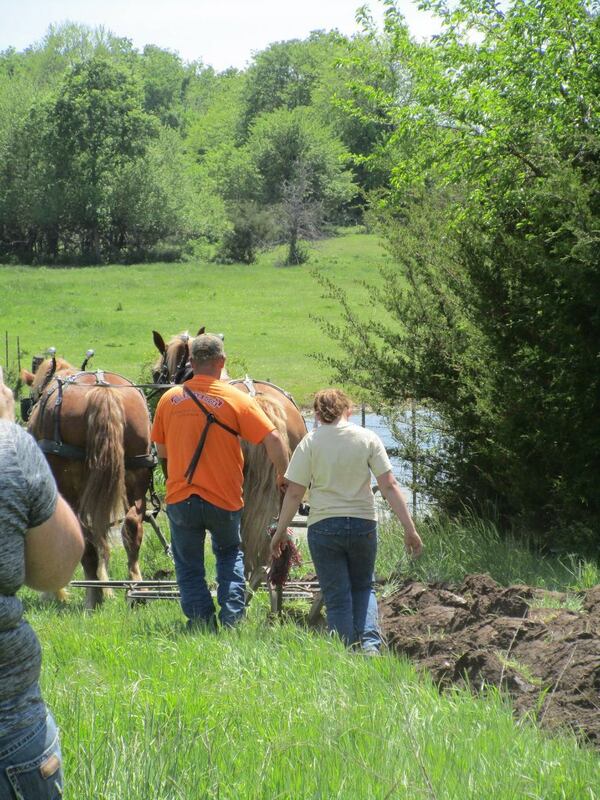 Bobby and Genny live on an 80 acre farm near Wien, MO. 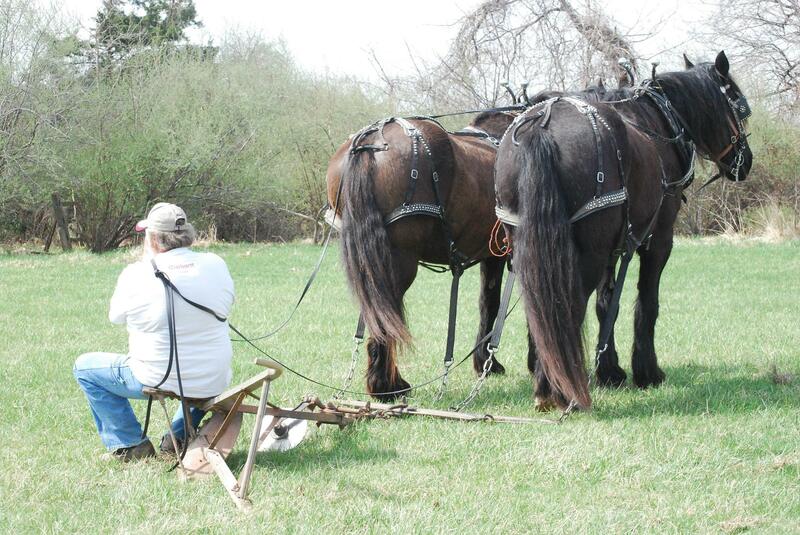 Bobby has had many Belgians and Percherons over the years. 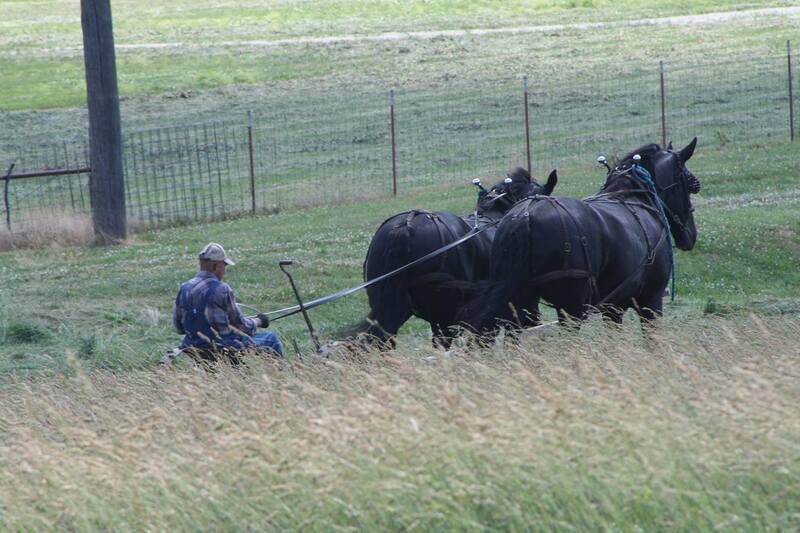 The one team he has left is the one he took to Des Moines, Iowa for the 2010 World Percheron Congress. 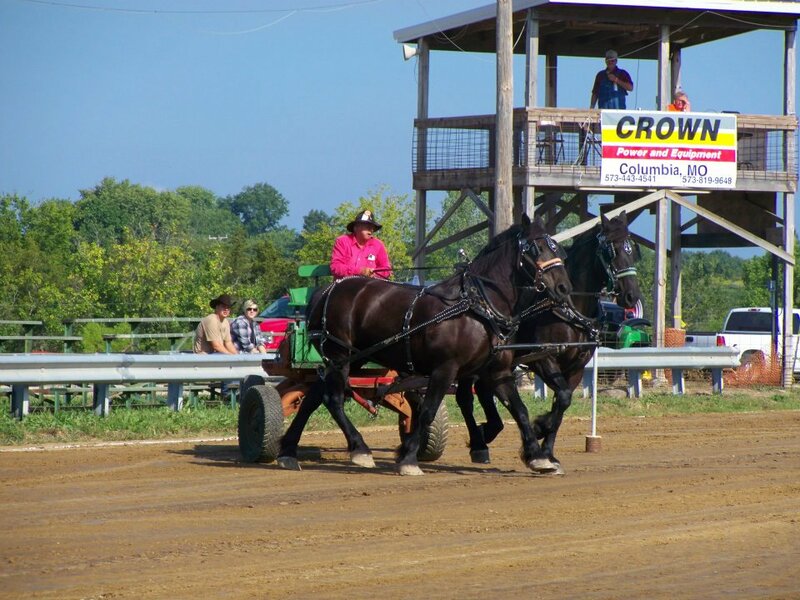 Lady and Joy helped him get 2nd place in the Walking Plow class. 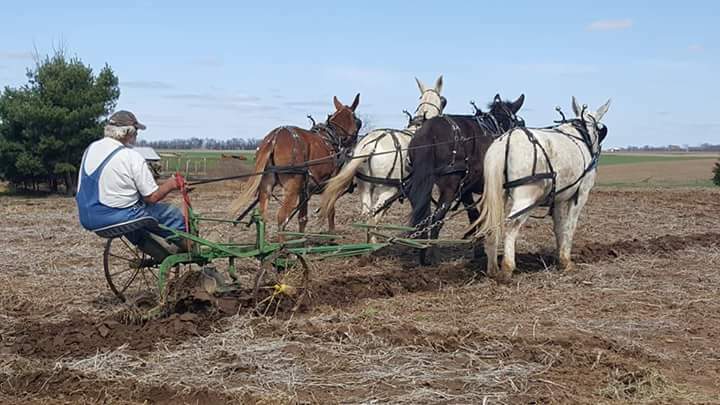 He would like to take them back in 2018. 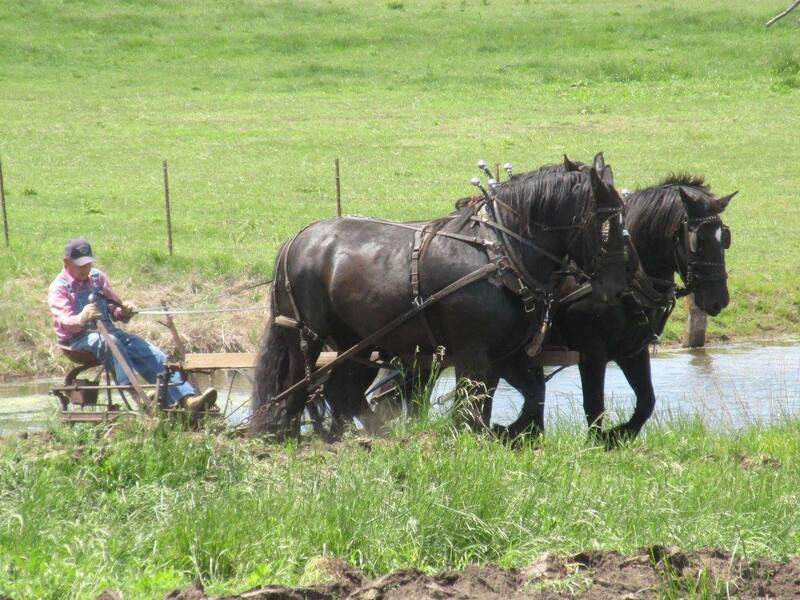 Genny doesn’t do much with the horses except feed, water and curry them when needed. 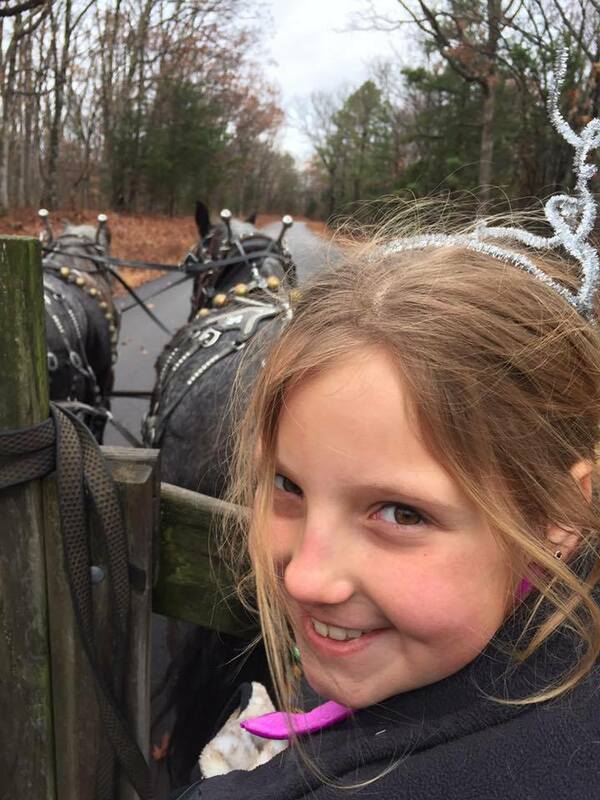 And love them, of course. 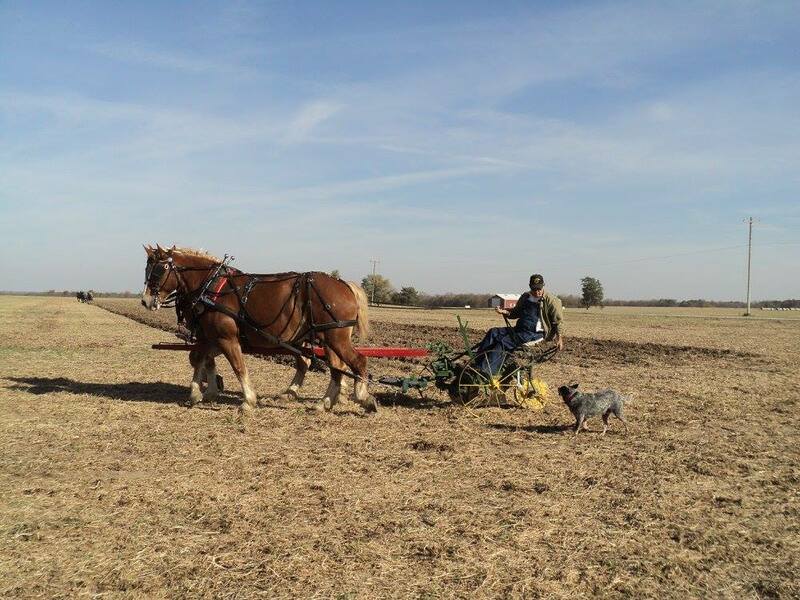 Her main job is to make sure Bobby gets to the plowings, mowings and Draft Horse sales wherever they might be. 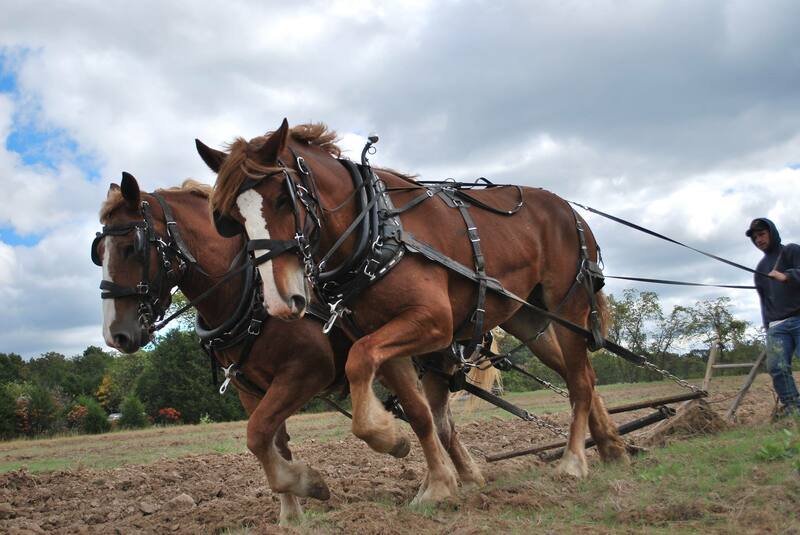 Maybe supporting a lot of our Draft Horse friends on Facebook counts too! 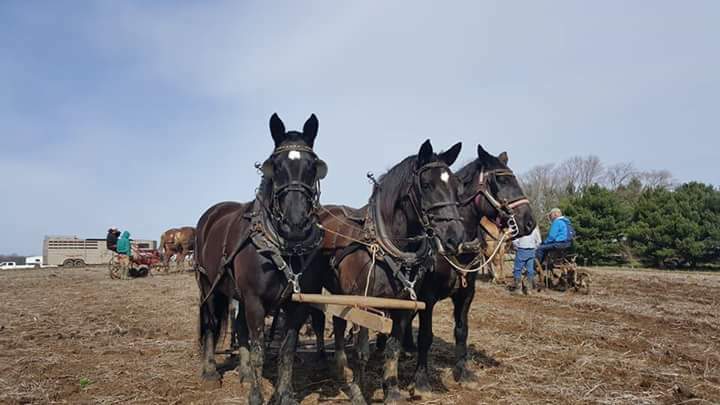 Current director, former president and very involved with the club Neals and Terri travel the country chasing draft horse events. 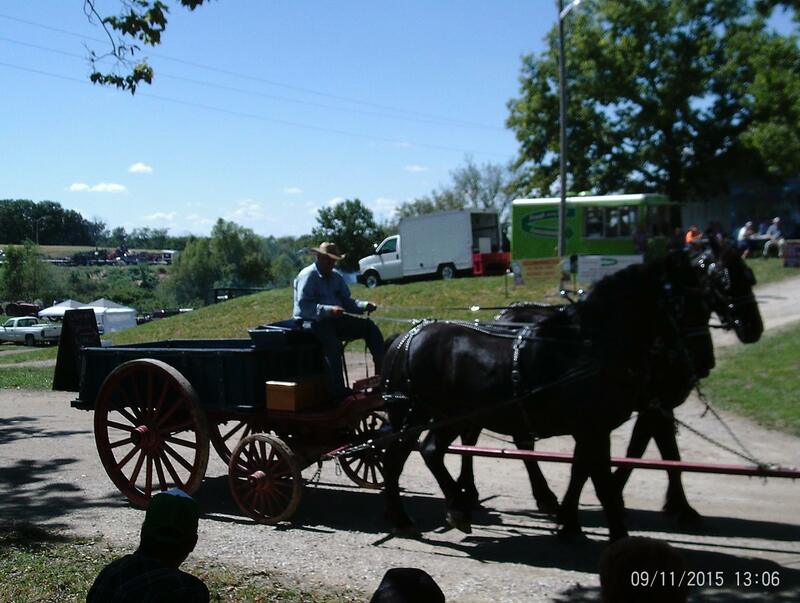 Neal is always willing to share his knowledge and help new teamsters out. 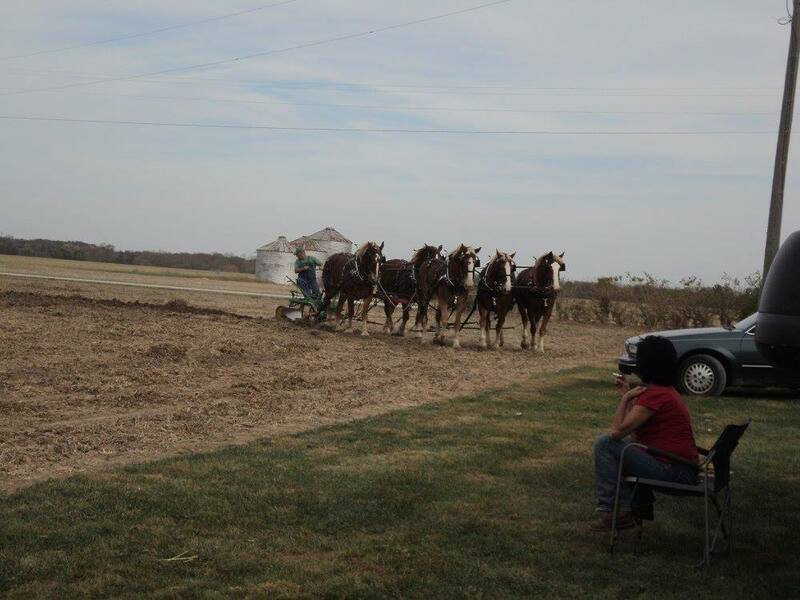 Terri is always there for the club behind the scenes and her efforts are greatly appreciated. 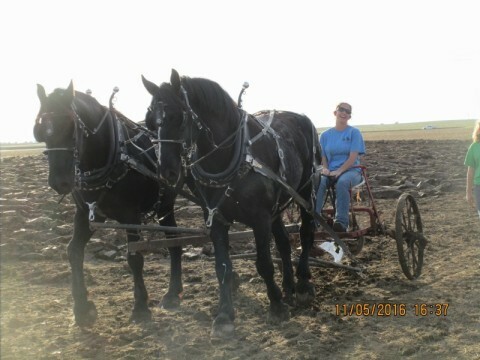 Terri is the current Member of the year. 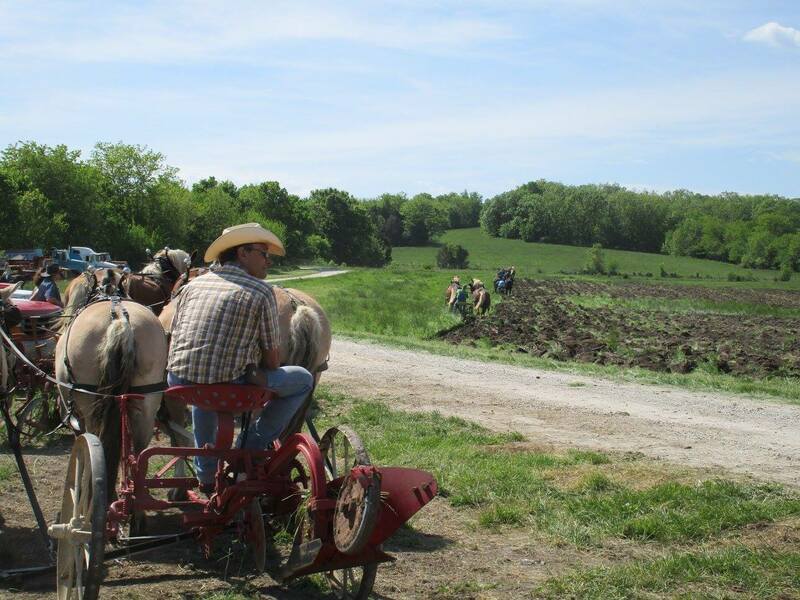 At their plowing the first weekend in May there is plenty of knowledge shared, stories told and lots of great food to eat! 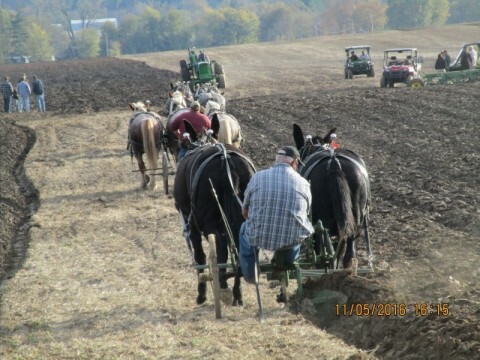 Current Board Member and previous Member of the Year, Dave travels to many plowings with his mules. 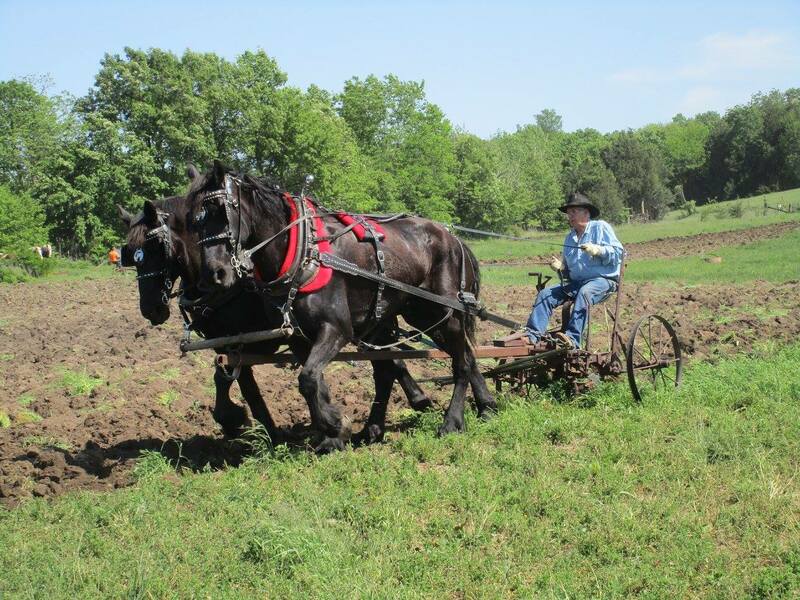 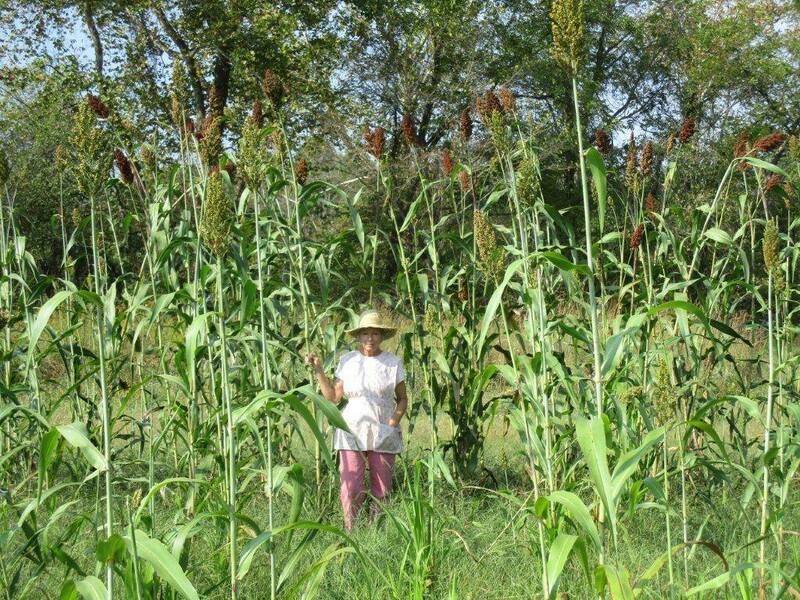 He also uses the mules to mow and rake hay, farms with them from plowing to harvesting, gives historic tours in Independence MO, and competes in the fair farm classes. 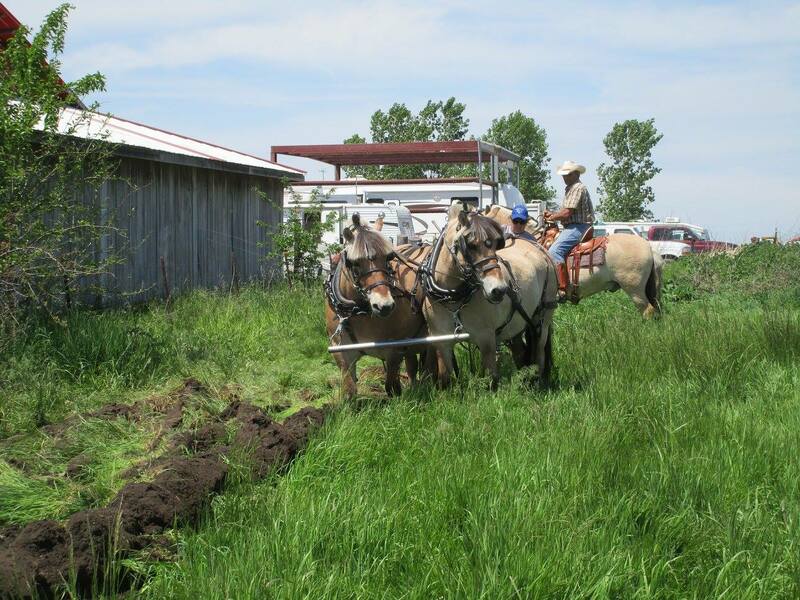 Dave is an amazing mule man and a great guy! 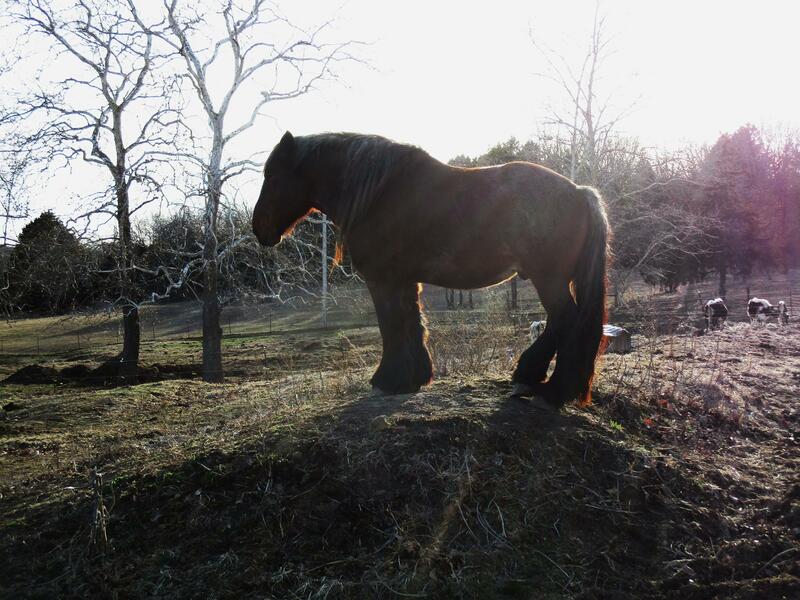 Val's farm raises beautifully well mannered draft horses proving time and time again that despite their short stature they are a draft horse and are capable of anything that the taller breeds can. 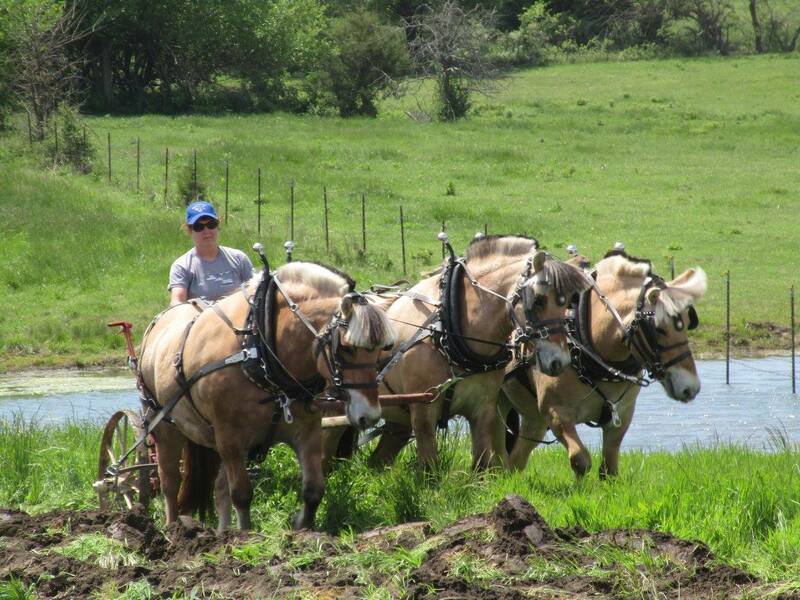 Val is always welcoming and enjoys sharing her knowledge and love of her fjords. 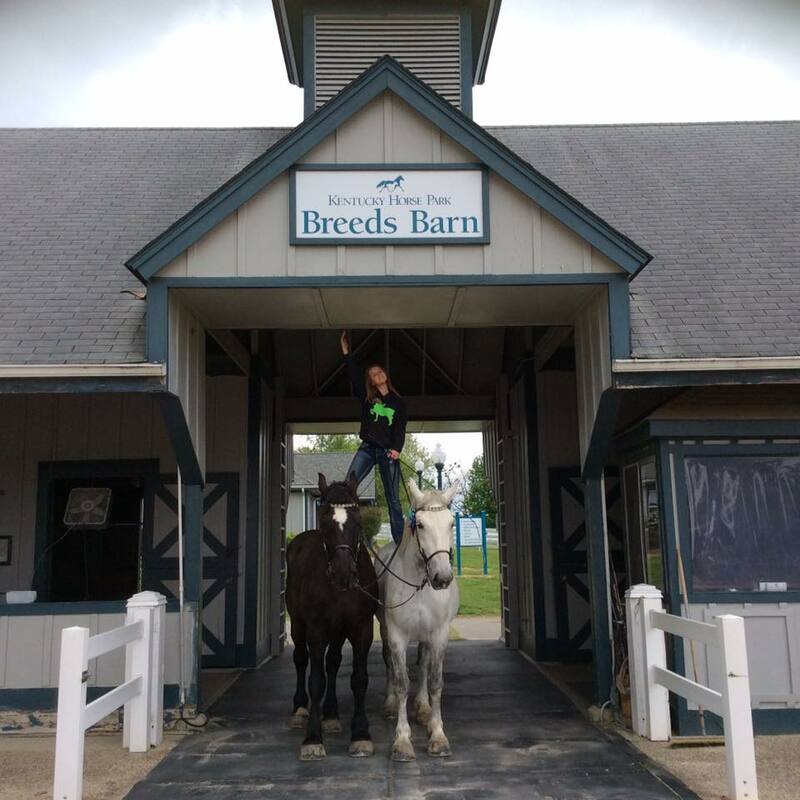 Robyn is the Current VP, Art is a Board Member and Shelby is a Youth Representative (they are just a little active in the club). 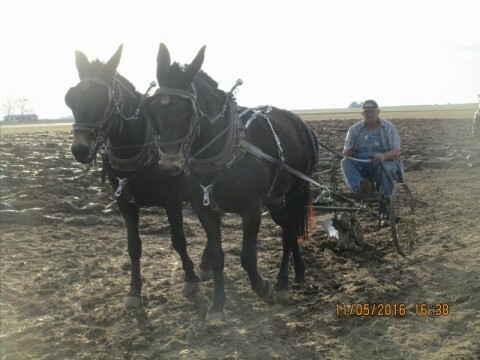 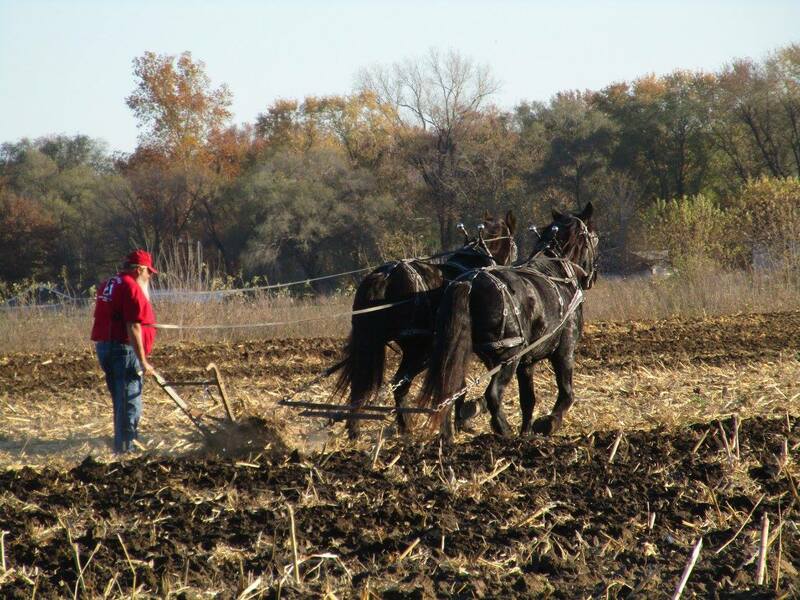 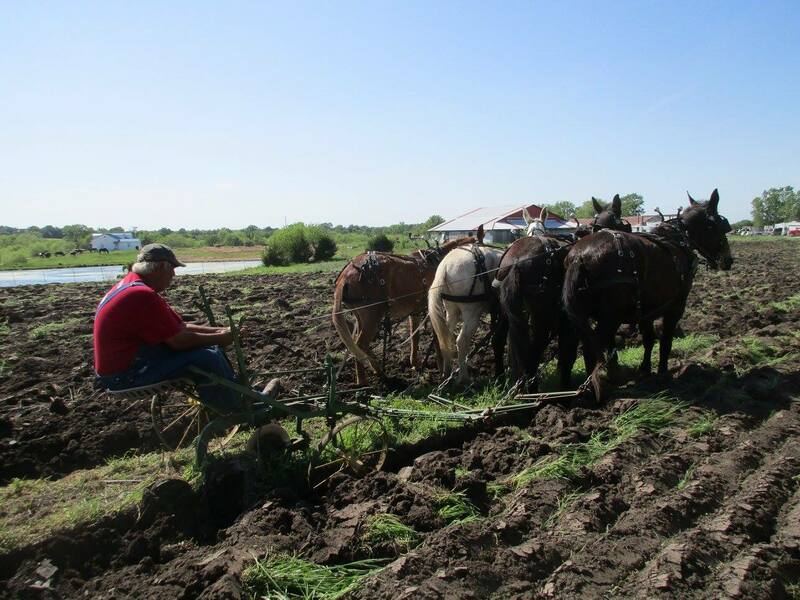 Art has his team of Belgian mares that excel in the farm field especially on the plow. 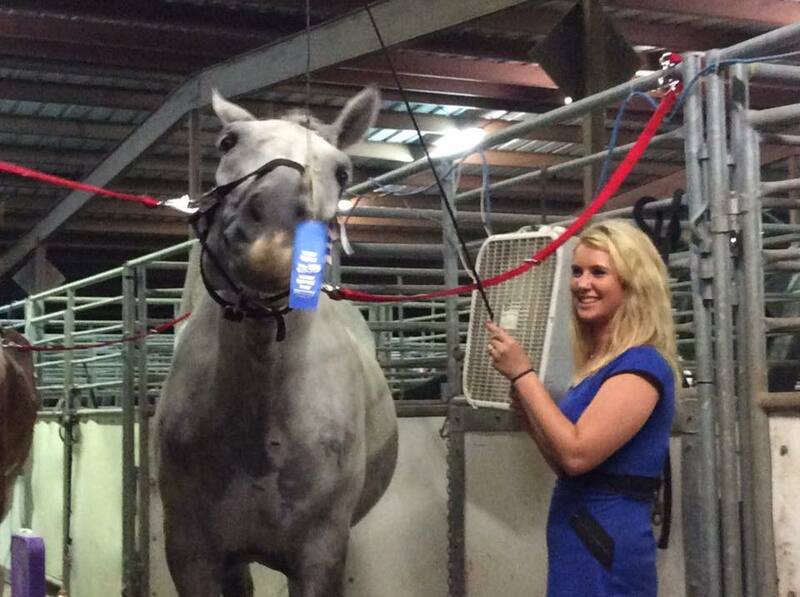 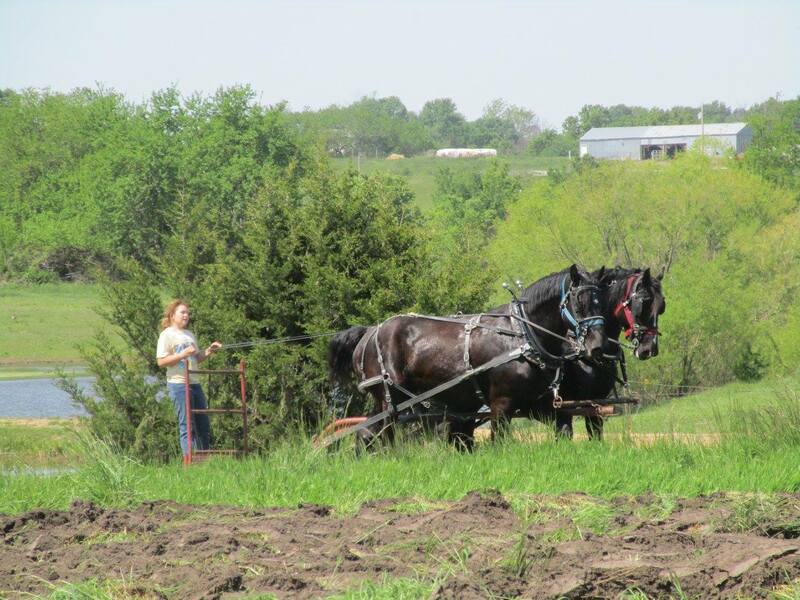 Robyn and Shelby share 2 teams of Percherons (fight over) who do a little bit of everything, from plowing to shows. 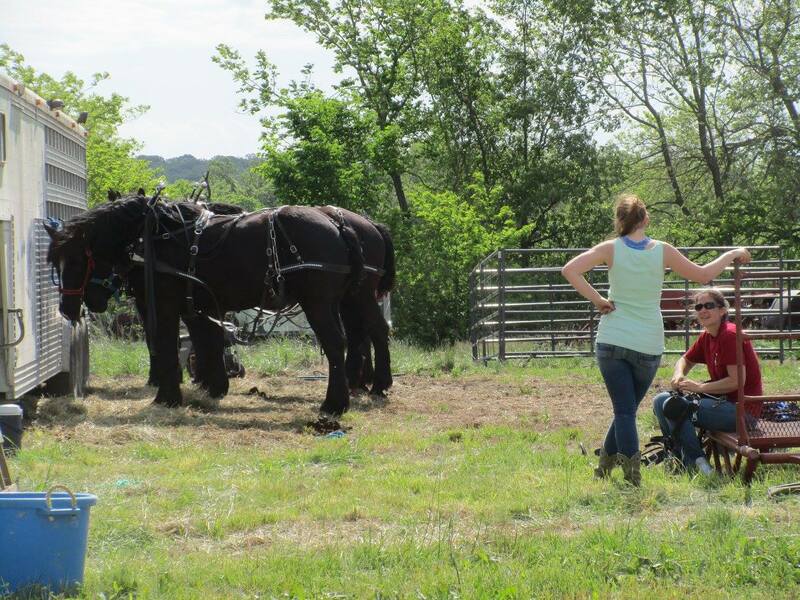 This family just enjoys working their horses and spending time with their like minded friends. 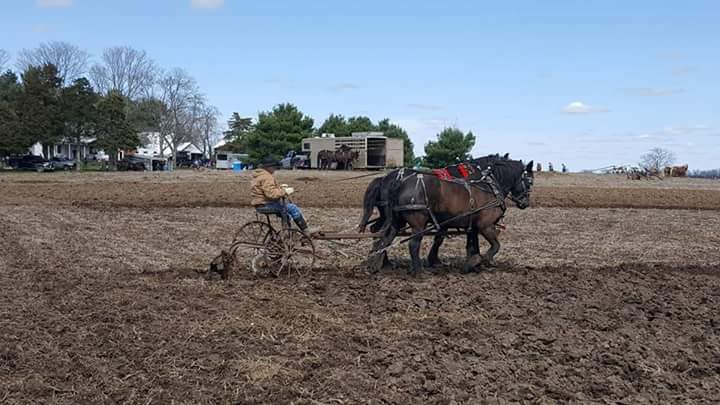 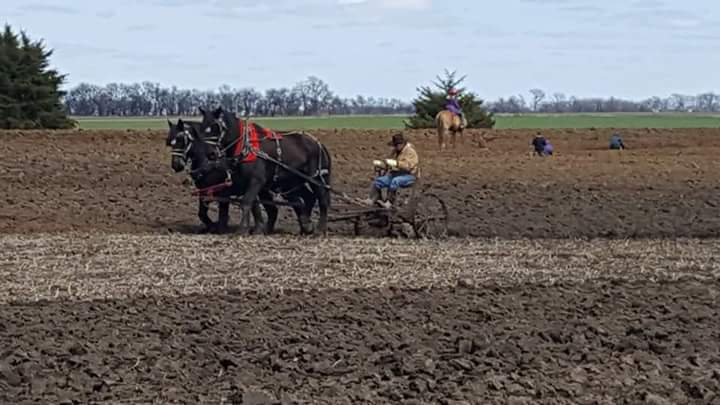 Billy is the active President of the club and takes his Percheron Geldings Bill & Dan to most field days, plowings and anywhere he can put them to work. 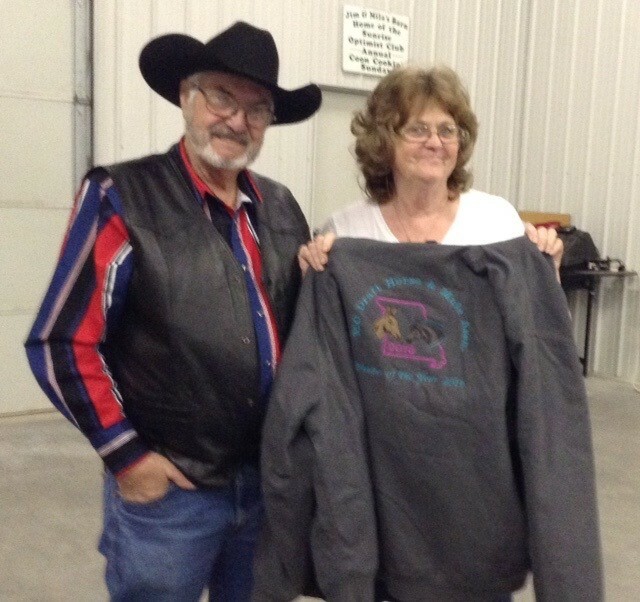 Billy and Elsie also traveled with Neal and Terri to the Belgian congress last year to hand out jackets donated by club members to the winners of the farm team classes. 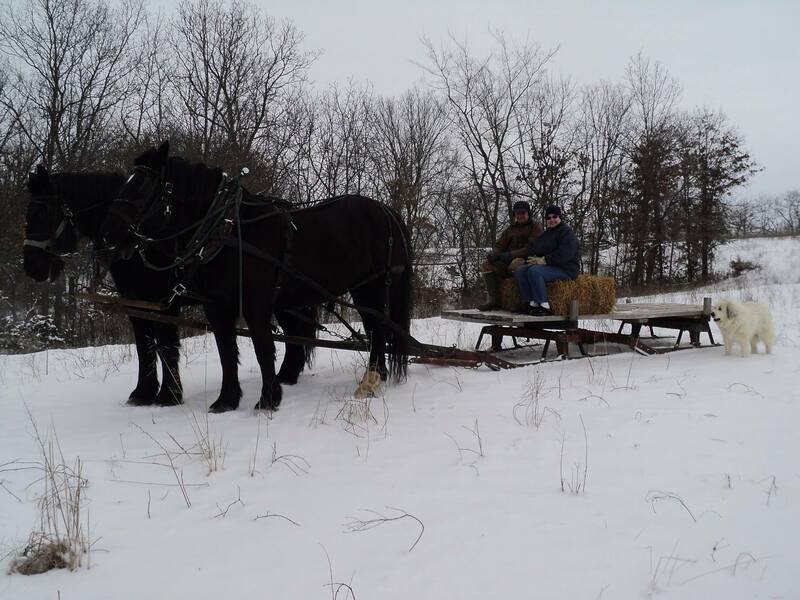 We all enjoyed the stories from that trip and those from other adventures these two adventure out on! 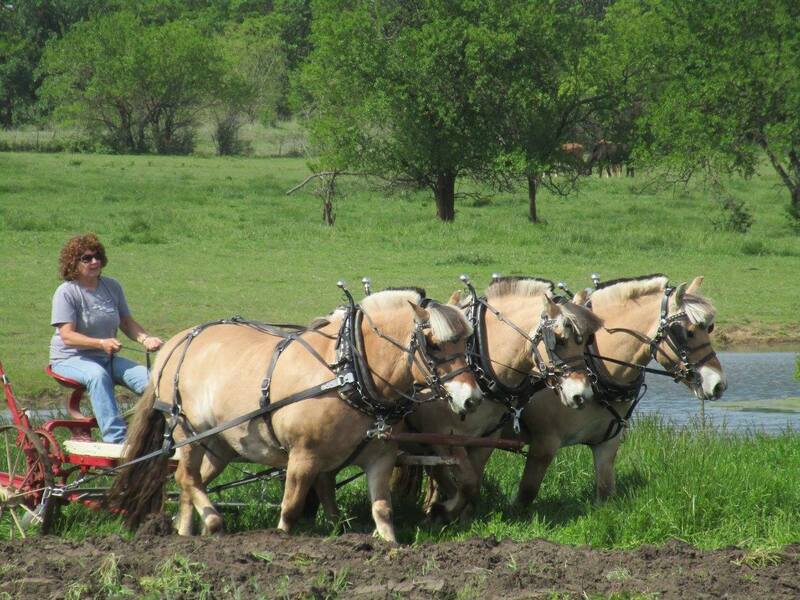 Luann works diligently at breeding and exhibiting her Brabant's in Missouri and surrounding states. 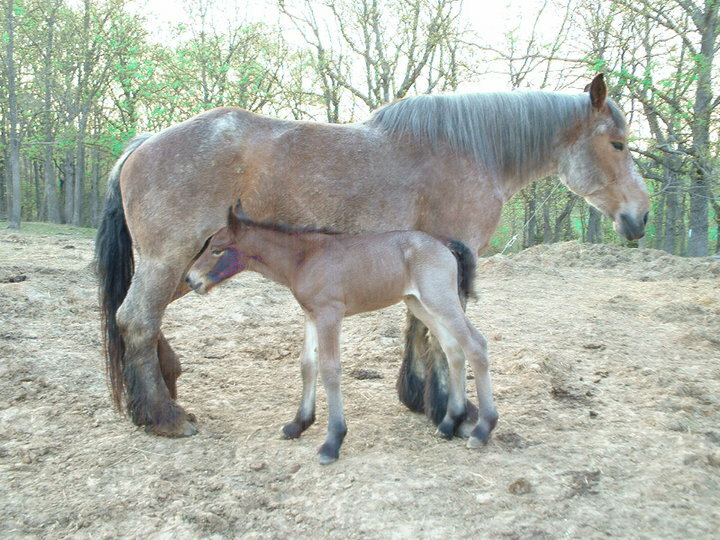 She has several imported horses breeding to maintain the breeds unique characteristics. 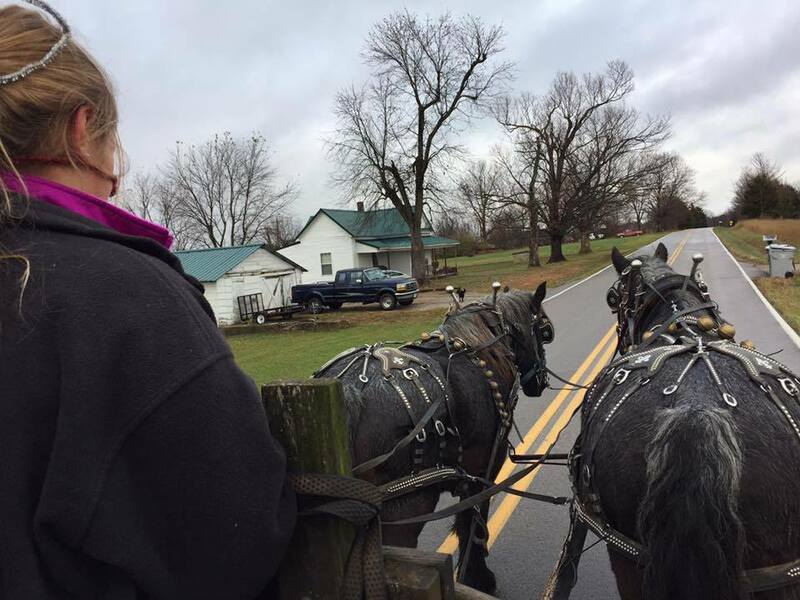 She shares her passions through wagon rides and other events. 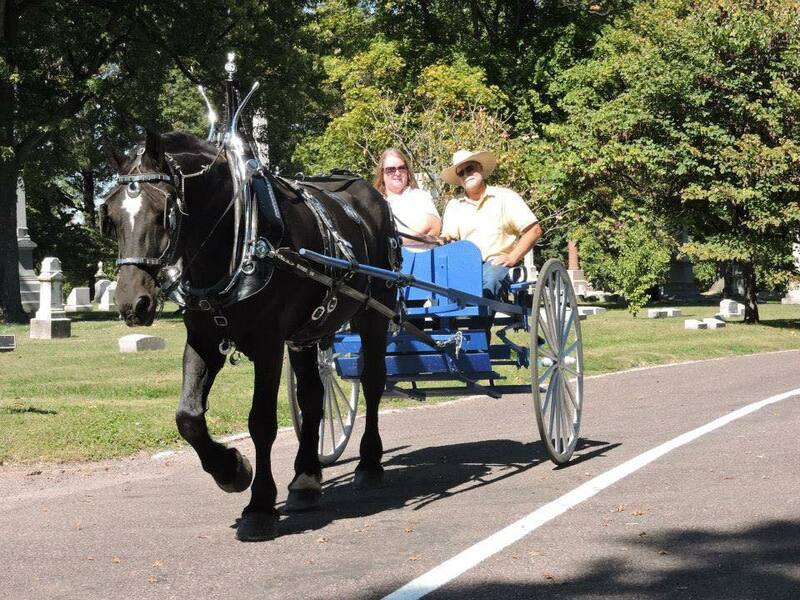 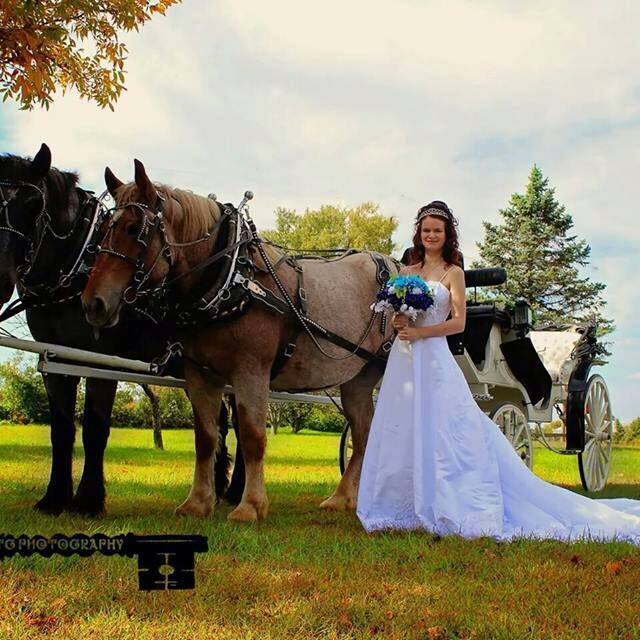 She has a carriage company in St. Genevieve providing wagon and carriage rides. 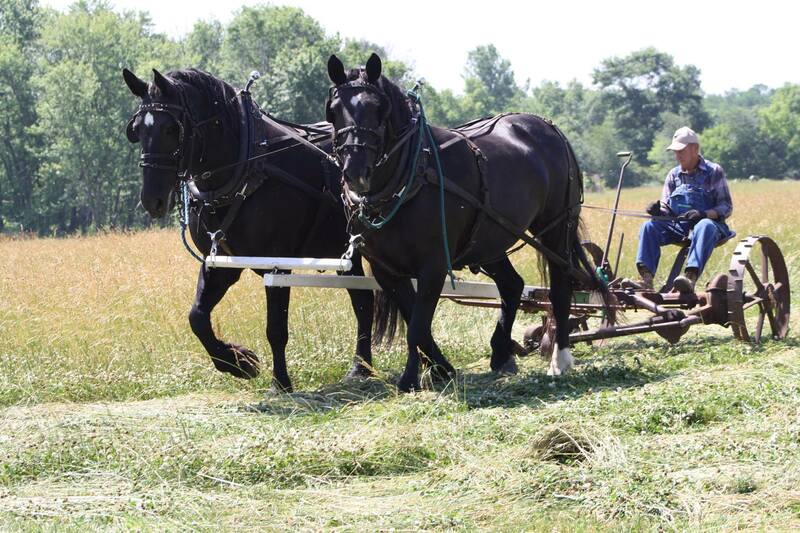 Luann has several Brabant stallions standing at stud and often has young ones for sale. 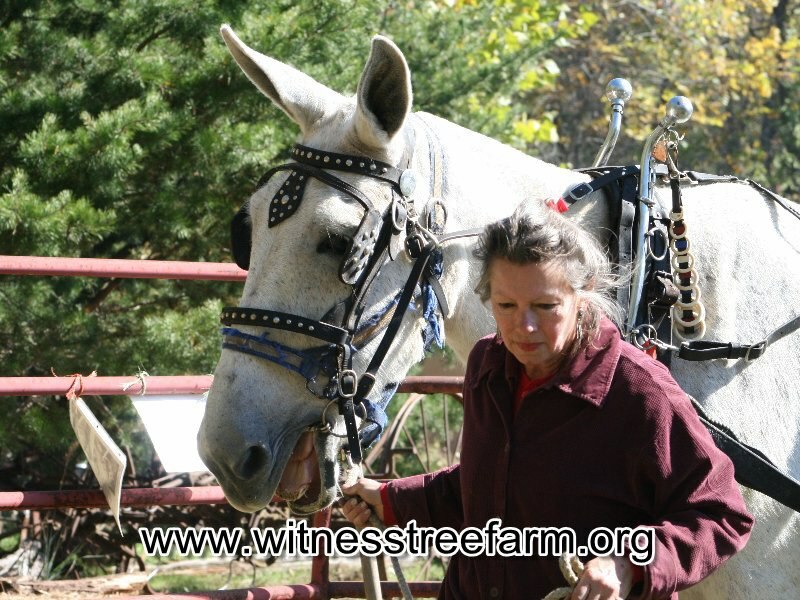 Luann is always willing to share breed history and general information about her horses and their special breed. 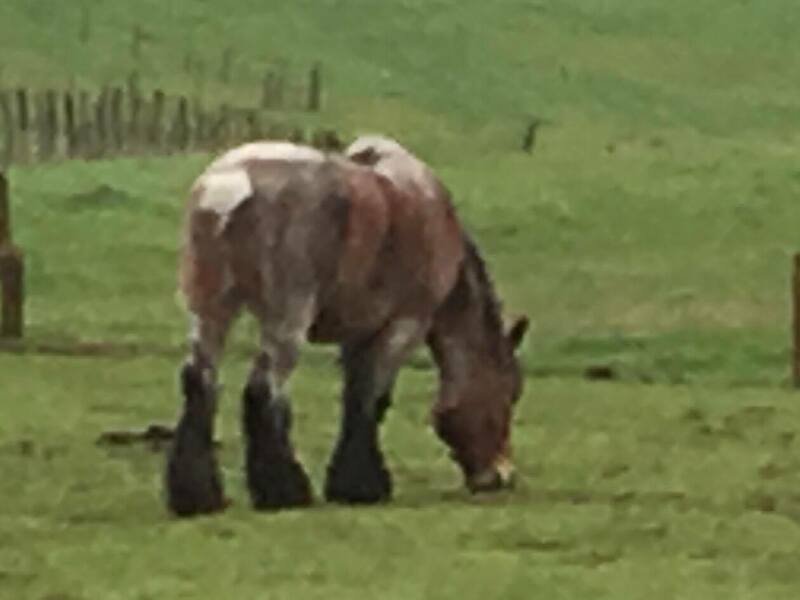 KJ Belgians breeds beautiful working style Belgians that exhibit the best of the breeds attributes including wonderful temperaments, grace and endurance. 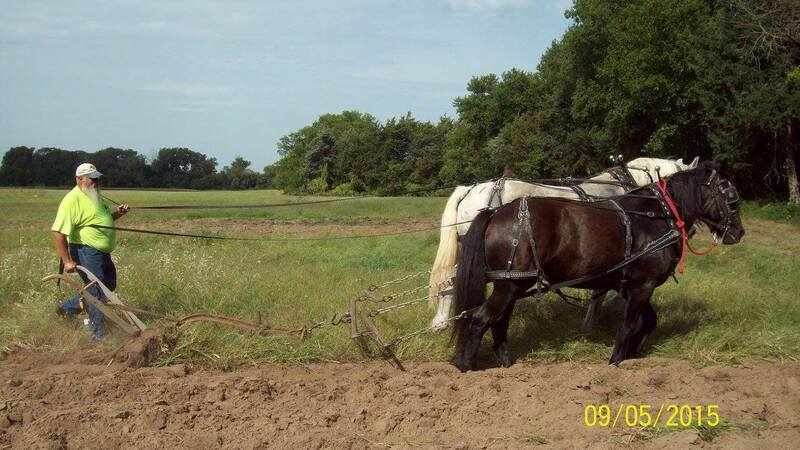 All of their horses work in the field and on the road. 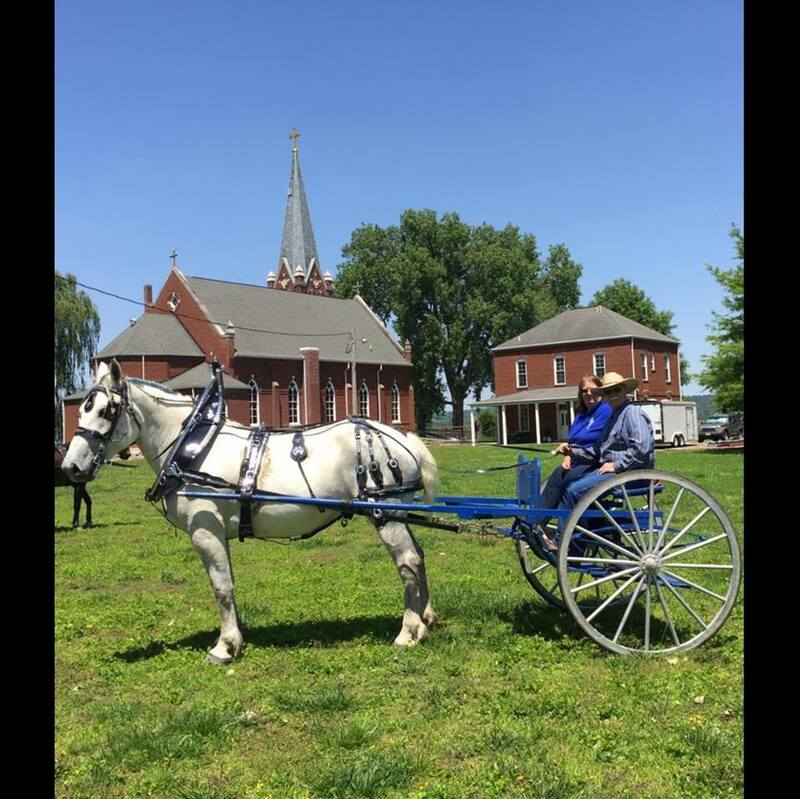 Kenny was our Linch Pin recipient for 2017. 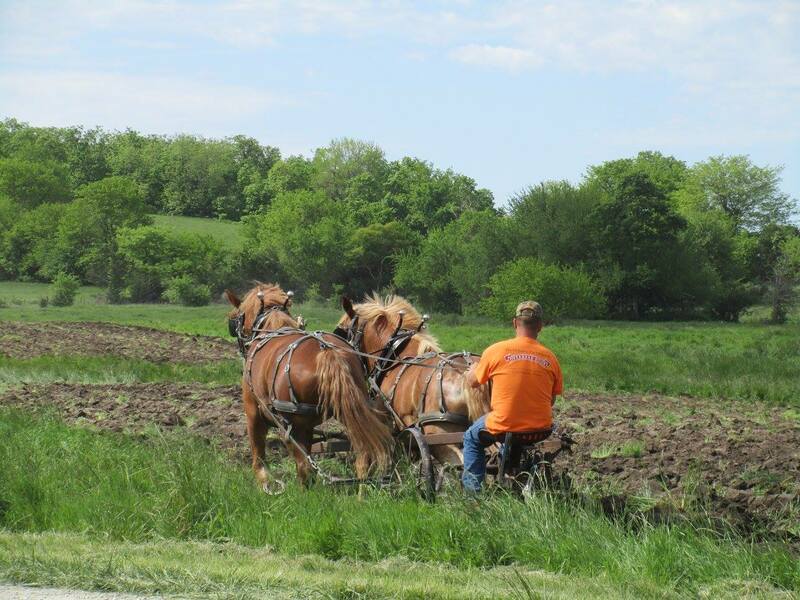 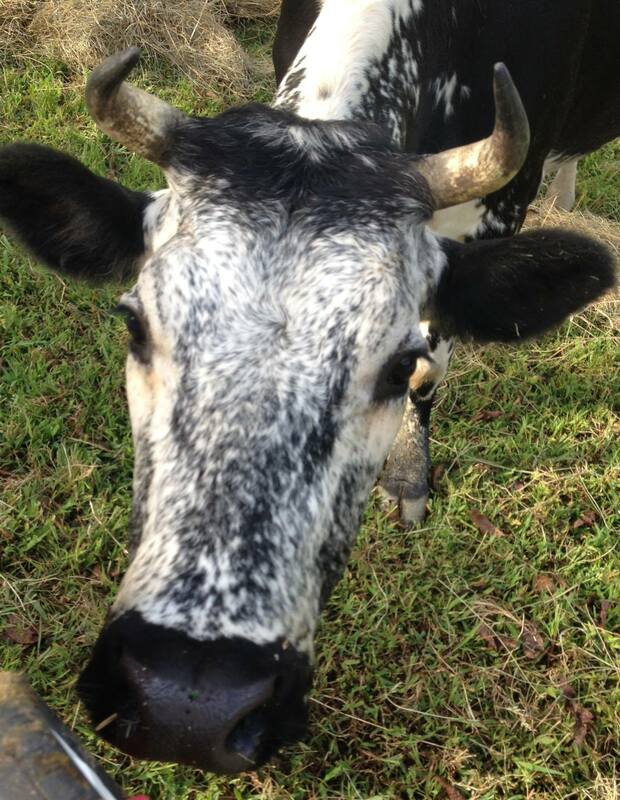 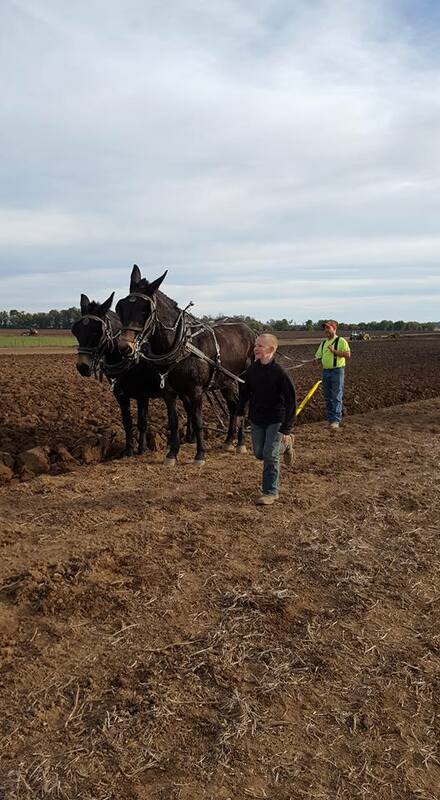 He enjoys sharing his passion an knowledge of plowing and the Belgian breed. 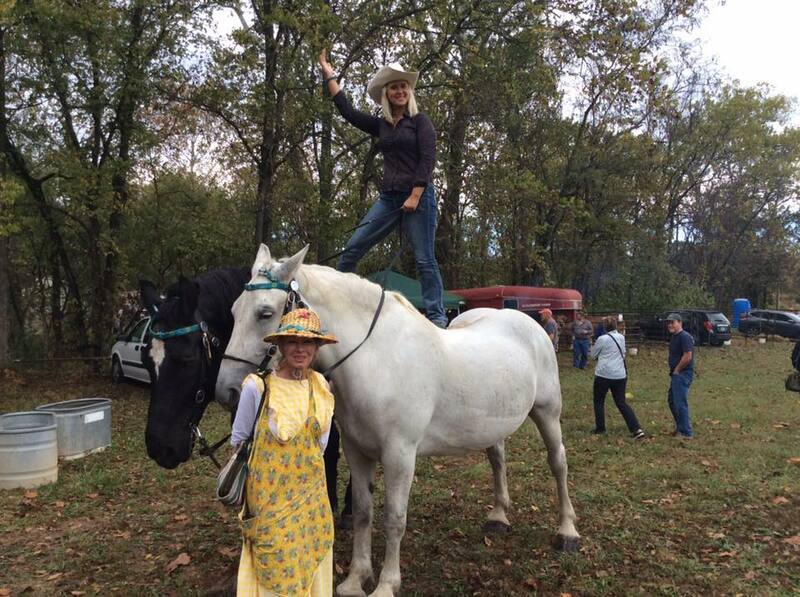 Current director, former vice president and very involved with the club. 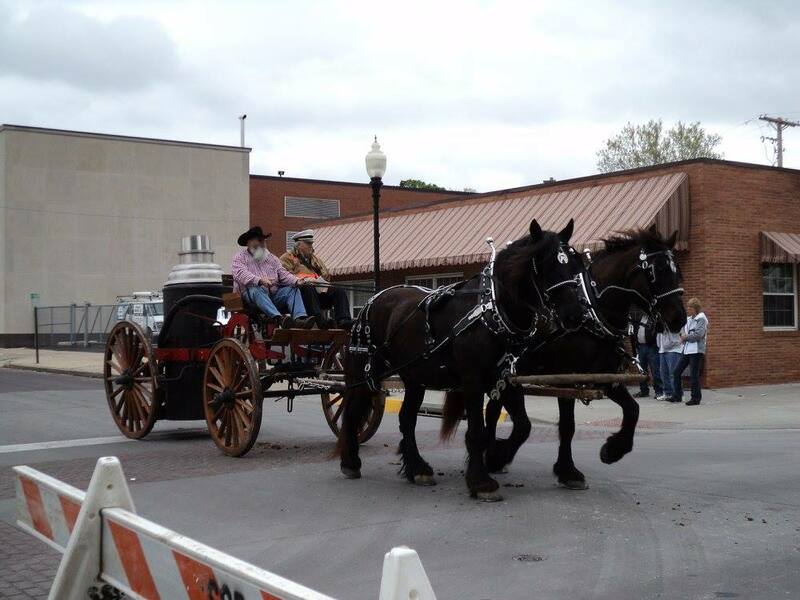 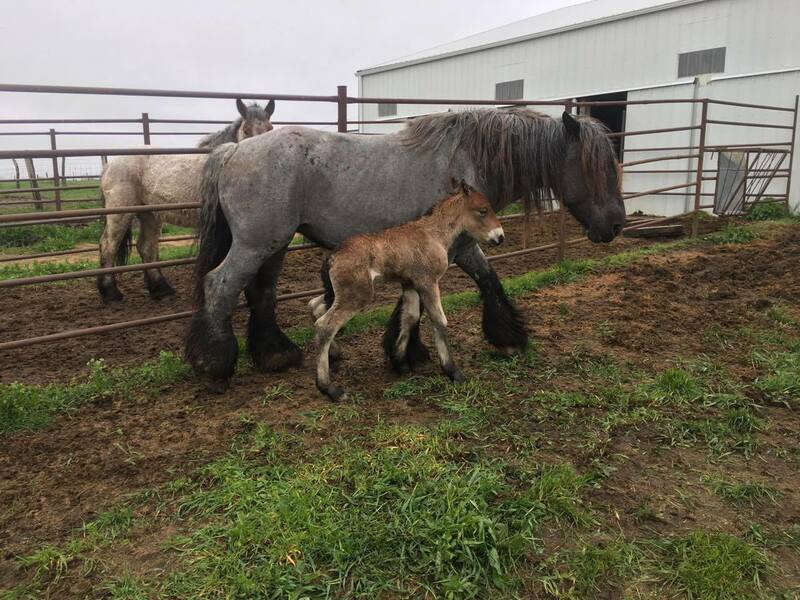 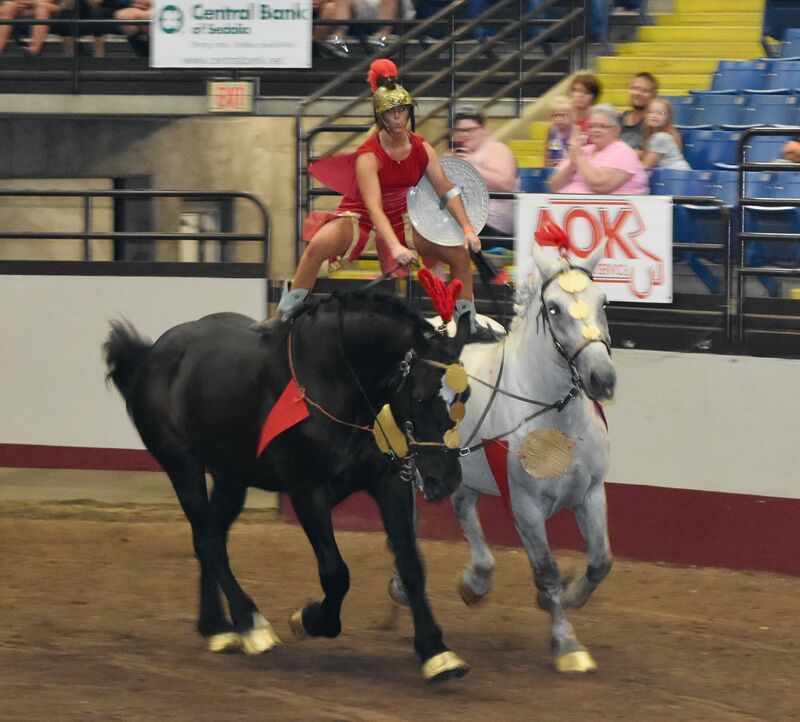 The Redeker's travel Missouri and surrounding states promoting the draft horse industry with roman riding exhibitions and showing their Percheron and Clydesdale horses. 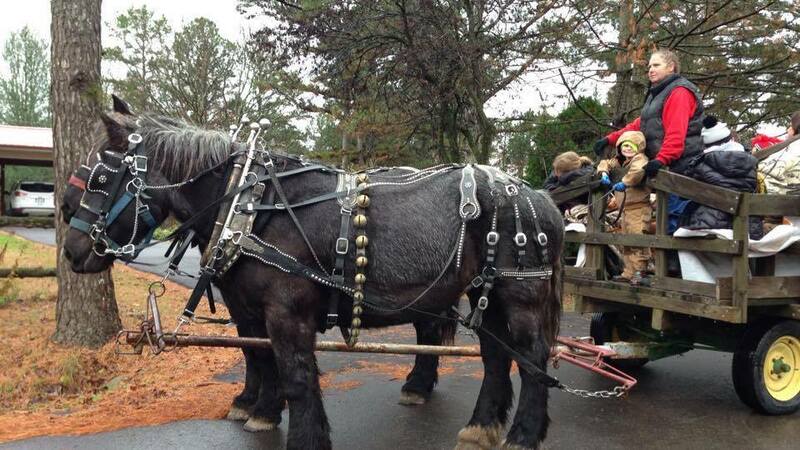 They are always coming up with new ways to draw a crowd and perk interest in draft horses.